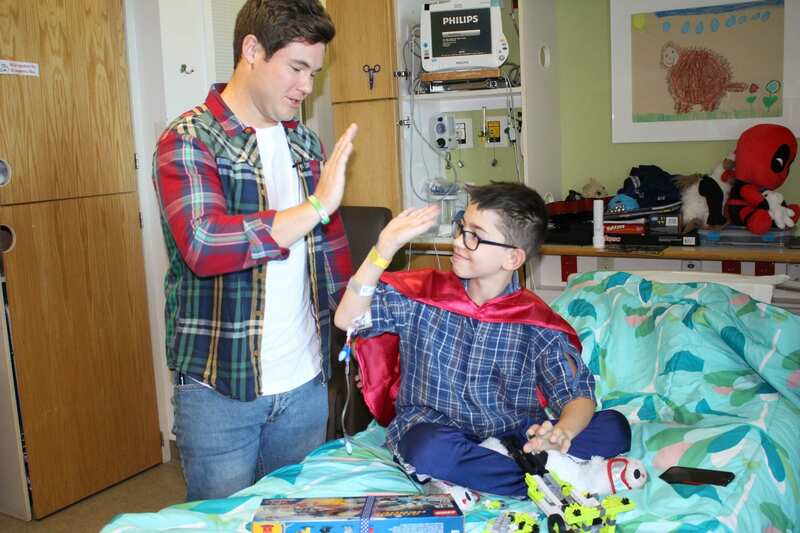 Laughs echoed down the halls of Children’s Hospital & Medical Center on Friday morning as comedian Adam DeVine went room to room visiting patients and delivering LEGOs, capes, and free jokes. Adam autographed gifts, took photos, and lifted the spirits of sick and injured kids all over the hospital. Children’s Hospital & Medical Center is a special place for Adam because he had over 25 surgeries there over two years after he was hit by a cement truck when he was 11, shattering all of the bones in both his legs. The Pitch Perfect and Workaholics star is a celebrity partner with Children’s Miracle Network Hospitals and stopped by the hospital while he was in town filming a Netflix comedy special. Adam shared his personal story with 100+ patients and staff and ran into some of his personal nurses and doctors. 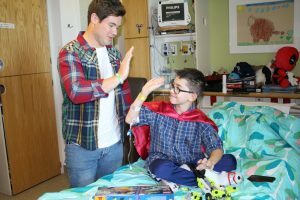 The patients loved putting on capes autographed by Adam and playing with LEGO sets delivered by the actor who voiced the character “Flash” in The Lego Batman Movie. Adam posted about the visit on his Instagram, raising awareness that children’s hospitals need private donations in order to provide high quality care for millions of kids every year.